I've got some great news for all of you Firefly fans out there! You'll be happy to know that Quantum Mechanix Inc., a leading sci-fi and pop culture collectibles company, will be unveiling a line of 1/6 scale collectible action figures from the classic sci-fi TV series. The unveiling will take place at Dallas Comic Con, which runs from May 16th to the 18th. In the mean time, we have a set of photos showing off our favorite character, Captain Malcolm Reynolds. These may not be Hot Toys quality figures, but they are still really freakin' cool! Below you will find some more information from the press release, along with some more photos for you to check out. Featuring authentic likenesses, screen-accurate costumes and accessories unique to each character, the QMx 1:6 scale articulated figure line aims to deliver the most detailed replicas of the Firefly crew ever made. 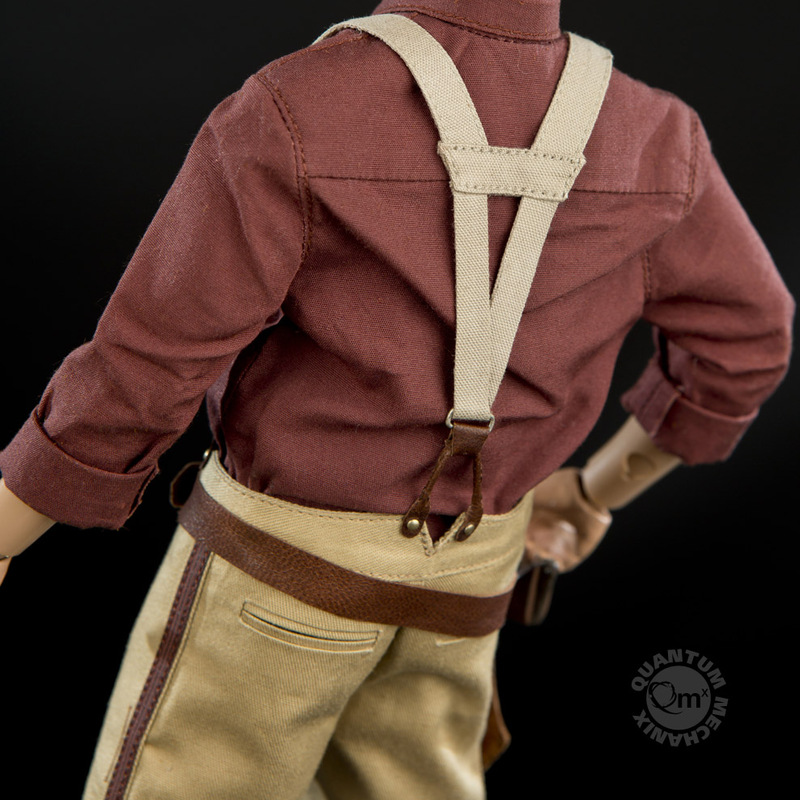 The debut figure in the line, the 12-inch-tall Captain Malcolm Reynolds, can be previewed at the QMx booth (#1227) during Dallas Comic Con in Dallas, TX. 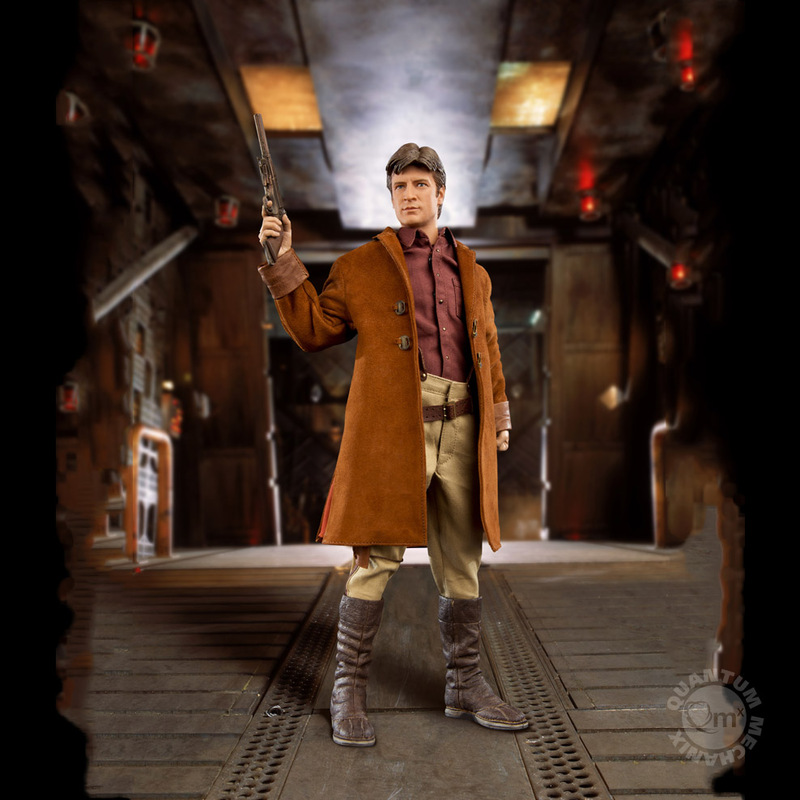 Features include interchangeable hands, screen-accurate brown coat, holster, and boots made of fabric, microsuede and simulated leather, functioning buckles and buttons, and Captain Mal’s must-have accessories: a PAL communicator and his trusty pistol. A special version of the figure available exclusively from QMxOnline.com will include the Lassiter laser pistol accessory with an extra hand to hold it with. 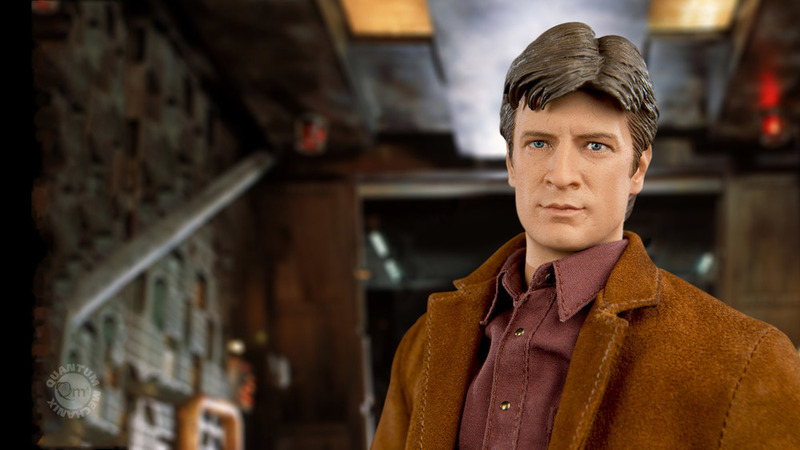 The Firefly Malcolm Reynolds 1:6 Scale Articulated Figure will retail for $189.95 and is expected to arrive Q3 2014. Fans can sign up to be notified when the figure is released by visiting the product page and adding their name to the wait list.